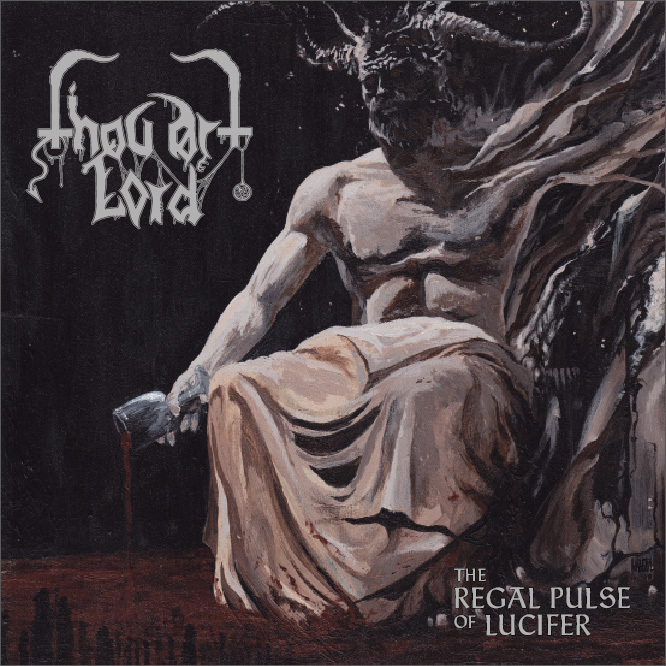 Thou Art Lord - The Regal Pulse of Lucifer is available on the Nuclear War Now! Productions Bandcamp. This is the all-star band's first album in 8 years and it's archetypal Greek black metal at it's absolute finest. One catchy riff after the other, intense drumming, and synths that adds the proper old school ambient touches here and there. Terrific varied performances by the three vocalists. Brutal growls, classic Black Metal shrieks, and harrowing screams, they do it all. The Regal Pulse of Lucifer features a perfect production in the sense that it doesn't feel "produced" at all. It gets out the way and lets you enjoy the well paced album. It grabs you right from the beginning, and the songs keeps getting better and better until the epic triumph of evil that is "Justicia Profana". Without losing steam, the album concludes with "Fire and Blood". Based on A Song of Ice and Fire, it ends with a tremolo picked version of the Game of Thrones theme! Now go read the mighty Autothrall's review, and check out Thou Art Lord below.